Well I am sure that you have seen pin boards everywhere. From inside stores to online in numerous shapes, colors and sizes. You can even find tons of D.I.Y. versions (see here, here and here). Unfortunately, I couldn't find one that suited my needs. It needed to fit with my feminine/masculine office (shared with husband), be modern and reasonably priced. Since I needed two (1 for me, 1 for him) I decided to make one that would. My aesthetic is mostly centered around Mid Century and Danish Modern pieces, industrial, a little quirk here and there and whatever seems to inspire me…. 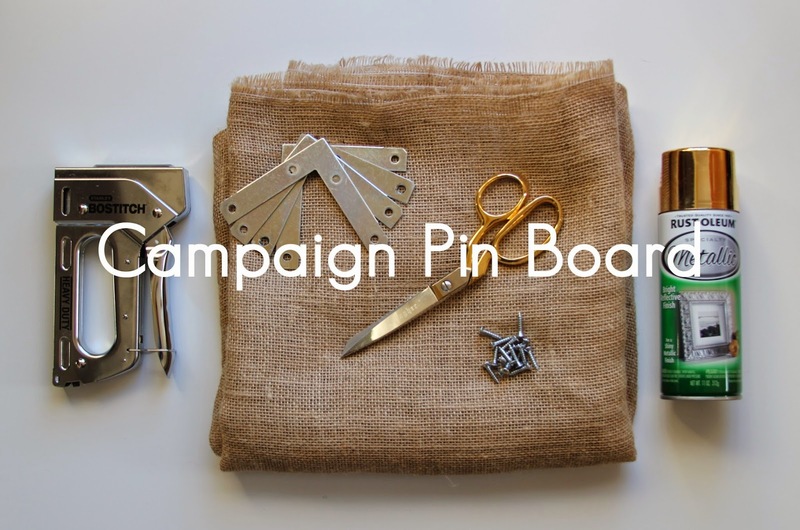 and I thought "self how can you make two Pin boards that fit your style and budget?". Should be easy, right? I hope. Definitely. F+S Tip:: Choose any combination of boards, fabric and embellishments that fit your style and use this same method. STEP 1:: Begin by spreading the fabric across your surface. 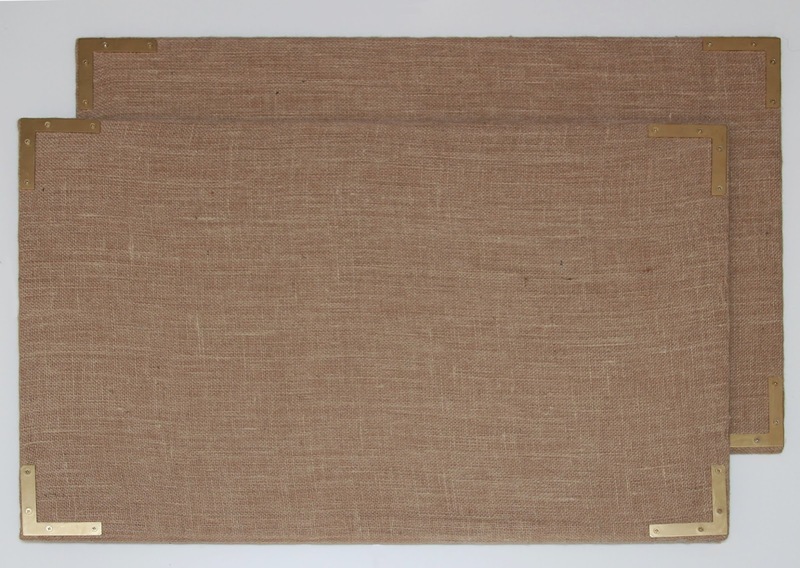 Then place the cork board face down on top of the fabric. STEP 2:: Next fold the fabric over the backside of the cork board on two sides. 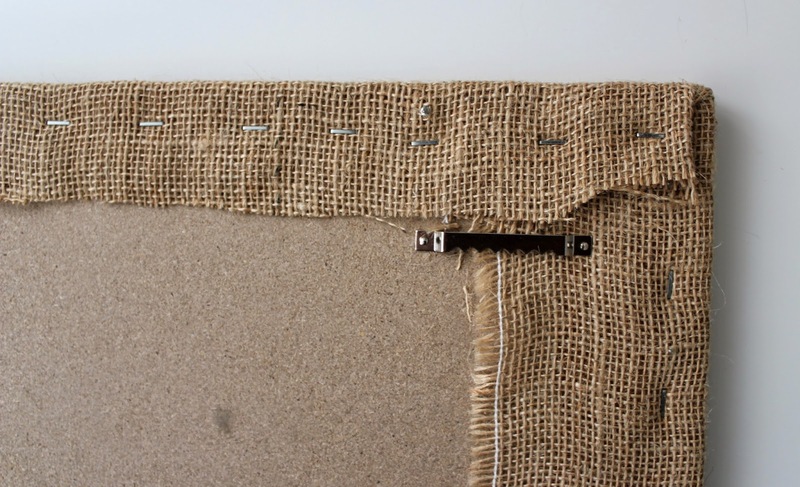 Place a few staples in both areas where the fabric is folded. By doing this, the fabric will be secure from most movement. STEP 3:: Fold the remaining fabric around the board. Begin stapling, while gently applying pressure to the fabric, until one half of the board is complete. For the second half, apply pressure while pulling the fabric taut and stapling, until complete. Note:: Pulling on the fabric is important in order to ensure there are not any loose areas and the board appears upholstered. Spray adhesive may also be used, depending on the type of fabric chosen. STEP 4:: Survey the board in case additional staples are needed. 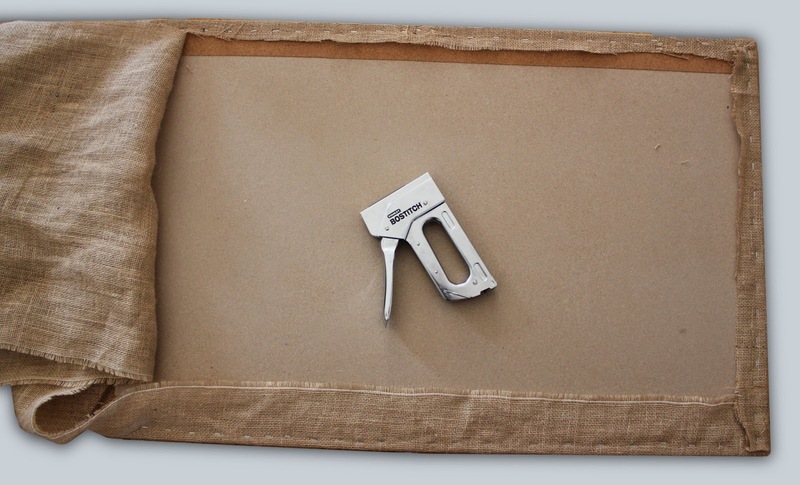 Remove any excess fabric by cutting a 1/2 inch from your staple. Screw in picture hangers. Flip the board over and lay flat. STEP 5:: Measure then Screw the corner brackets into each corner of the cork board. Note:: I pre-spray painted the corner brackets and screws the day before, to ensure they were completely dry. Congratulations!!!!!!! Just add embellishments, inspiration, pictures or whatever you desire, then hang and you are done. Pretty simple no???? Wow!!! This seems real easy especially for someone who is DIY challenged such as myself. I think you just inspired me to possible make a pin board in the near future. Great post!